Posterolateral corner injuries cause pain at the back and outside of the knee. They are not particularly common injuries, although around half of cases occur due to sporting injuries, with road traffic accidents being another common cause. The symptoms will vary slightly depending on the grade of injury. The symptoms listed here start with those present in all grades and become gradually more severe. Pain and swelling at the back and outside of the knee. 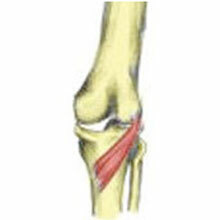 Tenderness on the lateral knee – over the head of the fibula. Instability at the knee. Hyperextension or over straightening the knee. Walking with the knee continually bent to avoid hyperextension. What is the posterolateral corner? Together these structures help to stabilise the knee joint against backward and external (outward) rotation forces on the knee. 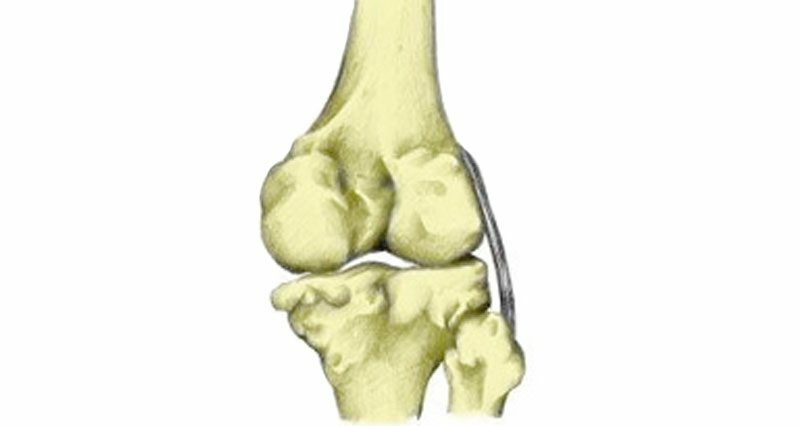 The structures in this area are most commonly injured as a result of a hyperextension (over straightening) force from the front and inside of the knee joint. What most commonly happens in sporting injuries is that these soft tissue structures are pulled away from their bony attachments. PLC injuries often occur in conjunction with other knee injuries, in particular to the anterior cruciate ligament, posterior cruciate ligament, and tibial plateau fractures. PLC injuries can be divided into grade 1, 2 or 3 depending on the severity and extent of the injury. They are classified depending on the degree of joint gapping when the therapist manually stresses the lateral joint, as well as the end, feel when performing this movement. Grade 1 injuries demonstrate a 3-5 mm gap with a clear endpoint. Grade 2 injuries demonstrate 5-10mm gaps, still with a clear endpoint. Grade 3 injuries demonstrate more than a 10mm gap, with a very soft or even nonexistent end-feel. Treatment of a PLC injury depends on the severity of the injury and the timescale following injury in which the injury is diagnosed. Grade 1 and lesser grade 2 injuries may be treated conservatively (without surgery) with good results. The knee should firstly be stabilised in a hinged brace (permitting a full range of motion) and controlled weight bearing (using a crutch or stick) for 2-4 weeks. Following this, a progressive rehabilitation programme can be followed, which concentrates on regaining full knee motion and building the strength in the quads in particular. More severe grade 2 and grade 3 injuries require surgical treatment. Acute injuries (within 3 weeks) can often be treated with a repair, whereas more chronic injuries require surgical reconstruction. Repair is not possible after the acute period has passed due to the development of scar tissue as well as joint misalignment. In reconstructive procedures, a graft may be taken from the Achilles tendon, IT band, patella tendon, semitendinosus tendon (one of the hamstring muscles) or the anterior or posterior tibialis tendon. This is used to recreate the ruptured structures.